It's been a life goal to earn a Master of Fine Arts degree. Returning to school was even more gratifying than I had anticipated. 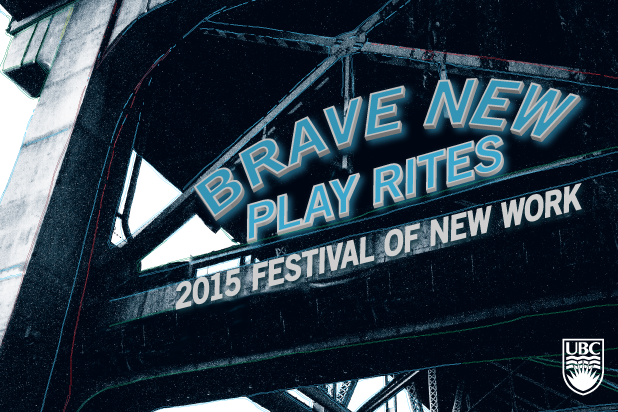 I was able to perform, write multiple works for stage and screen, further my theatrical knowledge, and make an impact utilizing my marketing skills promoting a theatre festival, Brave New Play Rites. And we made great strides in developing a brand identity for the festival, one that is now more recognizable and buzz-worthy than ever before within both UBC and the greater Vancouver community. The Creative Writing department also offered wonderful opportunities to lecture and further my skills as an educator during the quick two-year program. Execute and manage the promotional and producing duties of the annual theatre festival; design work, creative direction, general oversight, scheduling, and production of collateral, signage, advertising, digital marketing and all social media management. Work in collaboration with professors, writers, directors, and actors. Strategize outreach and establish partnerships with arts organizations, identifying and executing cross marketing opportunities and programs with other Vancouver theatre arts organizations. Manage content on the organization’s web site; oversee campus-wide distribution of materials. All teaching assistant duties for 200-level undergraduate creative writing courses in comedy writing and new media. Student liaison; handling sensitive issues, making independent decisions on scoring, grading, and feedback. Also, lecture preparation and presentation, and assisting professor with a range of responsibilities.